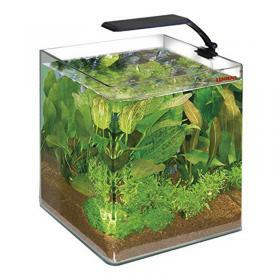 Cube 30 Box is a mini aquarium glass manufactured by Wave to meet the needs of people quite simply want to keep goldfish in a "real aquarium," both those who want to create a mini reef truly exceptional and satisfying. The construction details, with absence of sharp fronts, makes this aesthetically attractive product that can be inserted in different contexts of furniture, showing in each case a particular elegance. Perfect for the creation of an aquarium theme, allows to create small aquatic habitats where you can also focus the observation of small details of both animal and vegetable bodies. 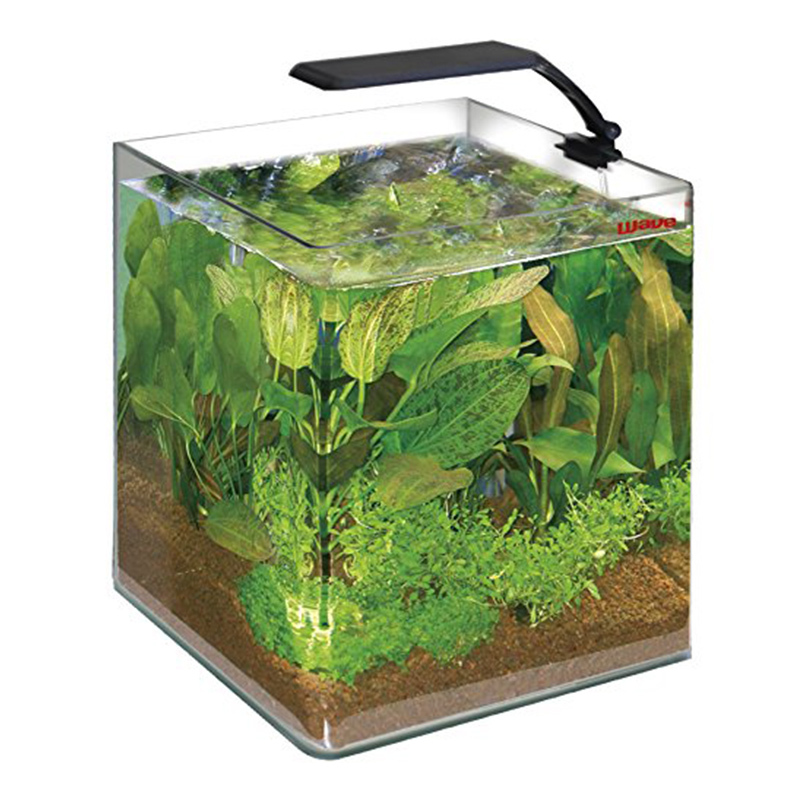 Wave Box Cubo 30 has a volume of 31 liters Dimensions 30 x 30 x 35 cm high, has a glass cover slide to contain the evaporation and protect against splashes, and has included a group of Solaris with lamp lighting 18 W (Compes in the package). Filtration is provided by the external filter Niagara Wave (included in box), with extremely quiet pump and with the possibility to filter chemical, mechanical and biological. In the latter case, the processing capacity can be increased by adding the biological filter compartment Glax stone ring or Glaxo mini.